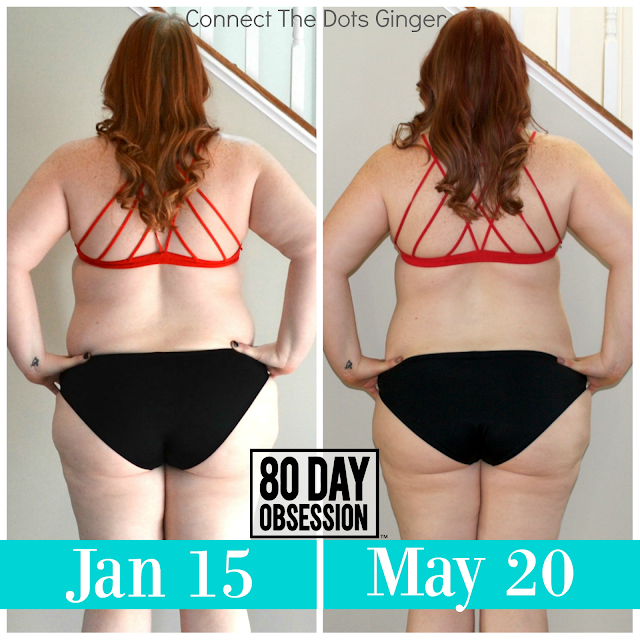 I'm 127 days into my 80 Day Obsession journey and the results are STILL HAPPENING! I still can't get over the physical changes that have happened since January! And the time has FLOWN by! I'm losing tons of body fat and have gained some lean muscle. Which I'm totally okay with. I want to have lean toned muscles on my body and now, I'm in weight loss mode so, HERE WE GO! It's time to truly see the scale change in my favor!! !